A groundbreaking iron product from Cork-based life sciences start-up Solvotrin Therapeutics looks set to disrupt the €10 billion global market for oral iron supplements. Iron supplements are not easy on the body. They can cause constipation, vomiting and nausea and unsurprisingly this puts a lot of people off taking them. As a result iron deficiency is a big problem, affecting an estimated two billion people worldwide. 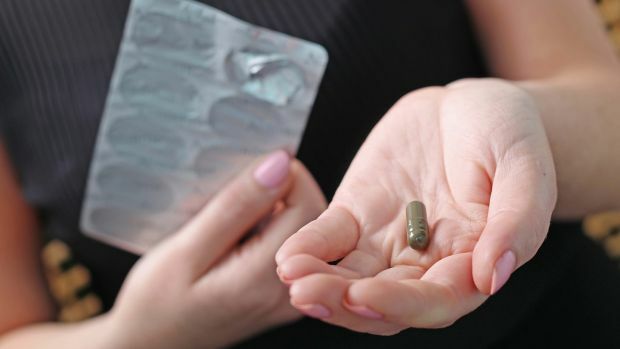 The market is crying out for a user-friendly supplement that offers all of the benefits associated with taking iron without the nasty side effects and this is exactly what Solvotrin has created. The product is called Active Iron and within weeks of its launch late last summer it was snapped up by Boots in the United Kingdom for exclusive distribution in 500 of its branded stores and 300 of its independently owned Alphega pharmacies. The product is also on sale here through pharmacies. Iron is the only nutritional deficiency common in both developed and developing countries. It is also the most frequent cause of anaemia in women, children and older people. Solvotrin CEO Pat O’Flynn says that as of now the market is “dominated by a range of poorly absorbed and poorly tolerated products. By contrast Active Iron is a ferrous sulfate supplement with a unique, patent-protected formula that boosts iron absorption while improving gastrointestinal tolerance and the taste characteristics of oral iron”. O’Flynn is the business brain behind Solvotrin. The scientific input has come from his co-founders Prof John Gilmer of Trinity College Dublin and Prof Mark Ledwidge of UCD. Additional scientific backup was provided by Prof Anne Marie Healy, head of the school of pharmacy and pharmaceutical sciences at Trinity College. “Professor Gilmer is a pharmaceutical chemist with a particular research interest in why the gut reacts against certain products, such as iron and aspirin, and how this can be overcome,” O’Flynn says. Solvotrin specialises in the creation of pro drugs, which are modified forms of existing therapies. The formula for Active Iron is a closely guarded secret, but Prof Gilmer describes it as “a unique composition comprising iron and denatured protein that increases absorption and reduces the reactive oxygen species generated by iron that causes toxicity. O’Flynn is an entrepreneur who formed the hazardous waste-processing company, Safeway, in 1997. In 2001, Safeway teamed up with leading Dutch waste-management company AVR to form a joint venture and the company was subsequently acquired by international utilities operator Veolia in 2008. O’Flynn’s introduction to Prof Gilmer came through Enterprise Ireland’s Business Partnering Programme. “I was approached by Enterprise Ireland to look at 15 different technologies across a number of third-level institutions that had been identified as having the potential to be commercialised and turned into substantial indigenous companies,” O’Flynn says. “What really attracted me to Professor Gilmer’s research was its potential. In the case of Active Iron it was clear that its absorption level was far superior to even the best products available but with none of the side effects. The founders were keen to have Active Iron made in Ireland, but it proved impossible to find a local manufacturer that could produce it on the scale required. The product is currently being produced in the United States (where the market for iron supplements is estimated at over $1 billion) and packaged in Europe but O’Flynn is not ruling out having it made in Ireland at some point. He is also not ruling out the possibility of Solvotrin setting up its own manufacturing plant. “A lot of expertise has been built up in Ireland around pharma manufacturing due to the scale of FDI here over the years and in areas such as compliance, Ireland is state of the art, so the skillsets are available,” O’Flynn says. Active Iron has been five years in development and investment in the venture to date has been in the region of €10 million, with funding coming from the founders, private equity and Enterprise Ireland under its HPSU fund. The most recent round (€3 million) was led by Irish-based Elkstone Capital Partners and will be used to complete the product’s commercialisation and launch process. The company currently employs 15 people and this is expected to rise to 50 people by the end of 2018. “The Holy Grail with iron and aspirin products in particular is the side effects profile and being able to significantly reduce, if not eliminate, them is a huge breakthrough,” says O’Flynn.